ntrance of the reserve, on the left. 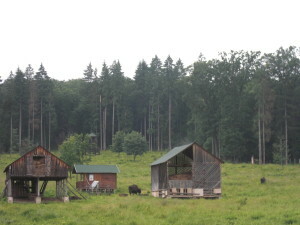 Starting with the year 2002, the reserve accommodation spaces from reserve benefits from a modernization program so that in the moment, Bison Reservation Dragos Voda is one of the largest and most representative reserves in Europe and one of the most visited tourist attractions in Neamt County. 2) Suspended walkway built of wood at 15m height over a length of 200m, which allowes observation of wildlife and vegetation. 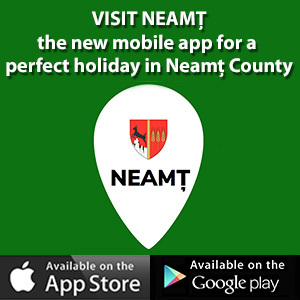 Accessibility: Piatra Neamt – Tg. Neamt (DN 15C); Suceava – Cristeşti (DN 2 then DN 15B up to Tg. Neamt); Vatra Dornei – Poiana Largului (DN 17B); Borsec – Poiana Largului (DN 15); Bicaz – Poiana Largului (DN 15). Opening hours: Winter (8-16), summer (8-18). Rates: children 3 ron, adults 5 ron. For groups 2 ron children and 3 ron adults, amounts under virtue of which are visiting the zoo garden and the Visiting Center of the Park. There are parking spaces, resting areas with benches and tables and kiosks selling various products, including food.